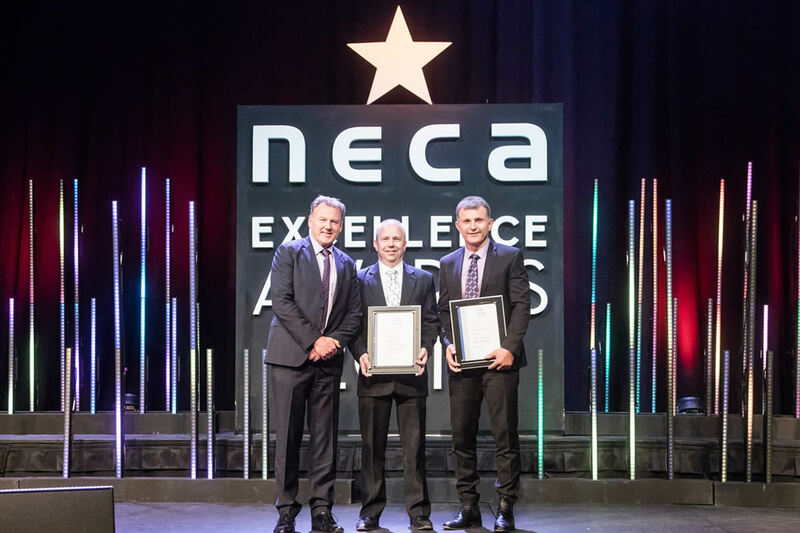 The NECA NSW branch announced the state Excellence and Apprentice Awards at the Sydney International Convention Centre on Friday 8 September 2017. 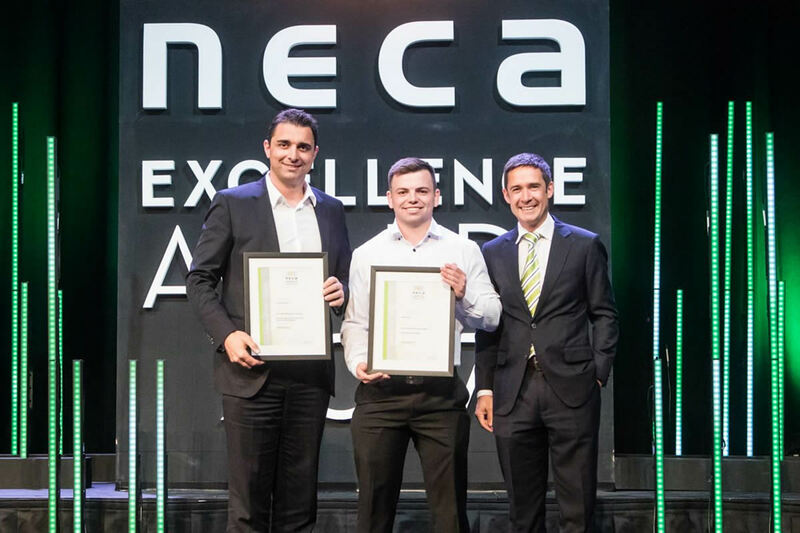 The venue of the awards, the convention centre precinct at Darling Harbour won best Large Commercial Project for the Stowe Fredon Joint Venture, and Aiden Scott won 3rd place in the Apprentice awards. Fredon was also a finalist in four other categories. This is an achievement worthy of celebration, given that NECA had over 60 entries in the awards, the largest number ever received. 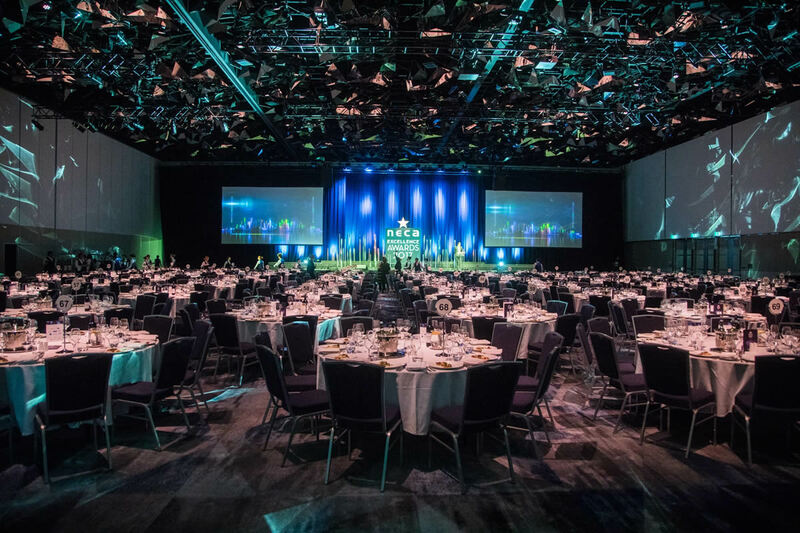 The Sydney International Convention, Entertainment and Exhibition Precinct is now in consideration for the National awards, which are announced in November. 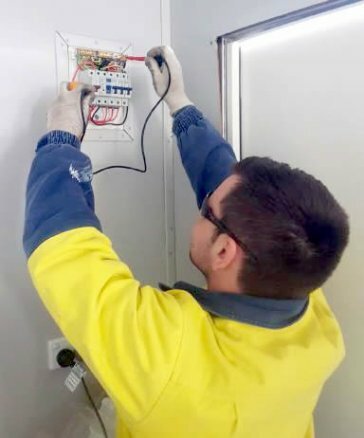 Throughout his apprenticeship Aidan has always had a “can-do” attitude, carrying out his work with an eye for detail and a smile on his face. 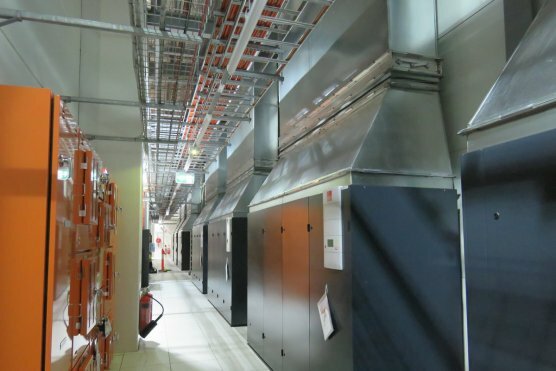 The integrated data system enables centralised data collection and building control. All the lights are remotely controllable by the data system, as are the AV, air and security systems. Factors such as the time of day, the daylight levels, the number of people in the building (monitored by people counting software), motion sensors etc. are available to be factored into environmental and efficiency controls. Even the showcase central vertical garden interfaces with the data system. 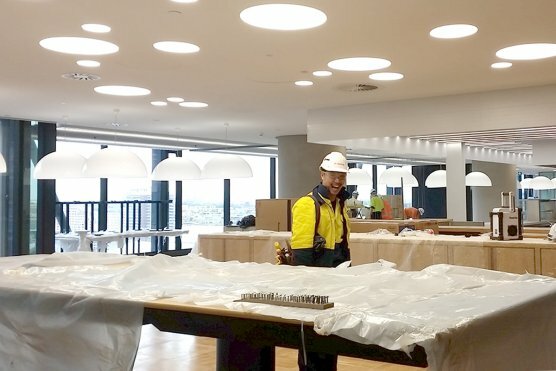 Lend Lease and Fredon committed to achieving a 5 Star (fitout) Nabers rating and a 6 Star Greenstar Office Interiors Pilot rating for the project. This is a flagship branch for ANZ, a model for the group’s other branches to follow. Integration was a theme, the branch had to achieve uncompromising security per the requirements of the banking industry, while setting the standard for a top grade competitive customer experience. 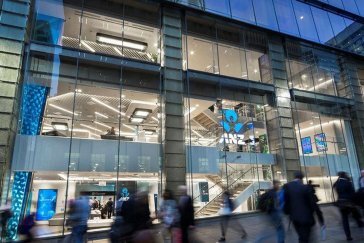 We worked closely with ANZ to maintain the building’s 6 star Green Star accreditation, while installing eye catching lighting displays to the highest standards of finish and design. 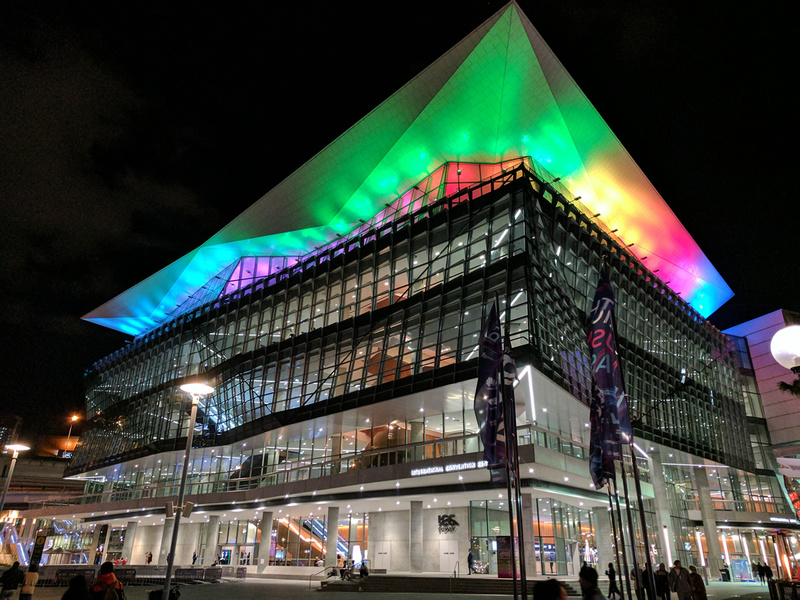 We were particularly proud of internal and external facing multi-level lighting displays that dramatically brand the building and define the internal spaces. Careful labour resource rotation, out of sequence installation, fatigue management and resourceful problem solving enabled us to work 56 days straight without sacrificing quality or safety to meet a daunting timeframe. 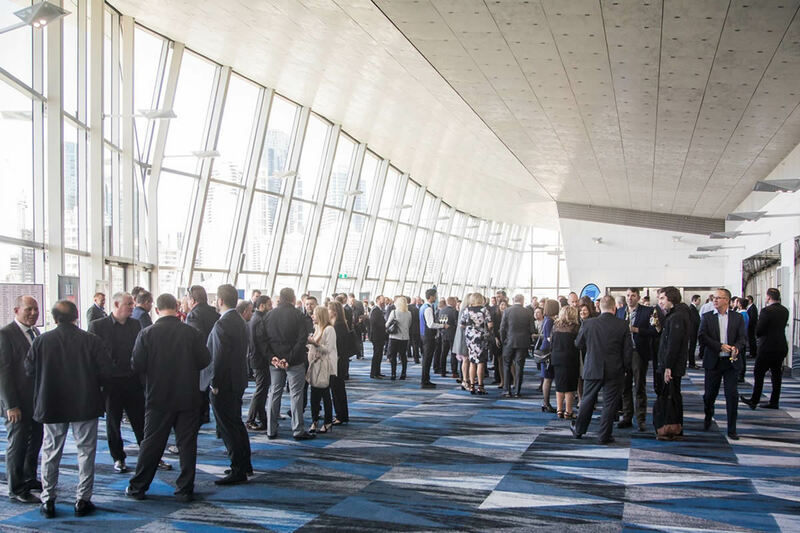 For example, the team identified structural load limitations in the roof and designed custom structural steel cantilever brackets to solve the issue without sacrificing the deadline – just one of a number of value add engineering solutions during the build. A very satisfied client on this project! 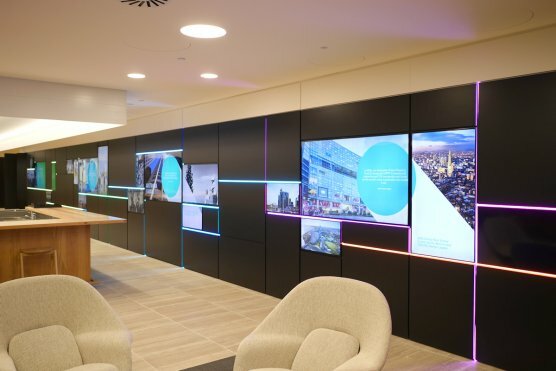 Designed by Lendlease as a showcase office fitout, Fredon co-ordinated multiple services, electrical, data, security, technology and Air to deliver state of the art building management control and environmental outcomes. A highlight this project was collaborating with living infrastructure specialists on hydroponic lighting for the 5,000 plant breathing wall that spans the main void in the offices. The offices have attracted international interest for their innovative features.